For my wife and I, the Fall is a busy time of year. There are of course the holidays and we do like to travel as well, but one other thing happens. A lot of our oldest credit cards seem to have their annual fees come due around this time. 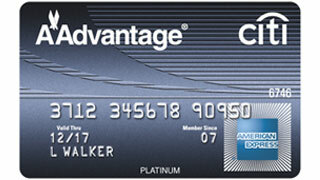 Recently my wife and I both made retention calls for Chase Ink cards and Citi AAdvantage American Express cards. The experiences couldn’t have been more different. Calling Citi these days is a rather pleasant experience. I don’t know if it is because I am a Citigold client, but everyone is super pleasant to deal with. Last week I called on my now three year old AAdvantage American Express card. The $85 annual fee had come due and I wasn’t sure if it was worth paying, so I called to see if there were any offers. At first I was transferred to a Citigold rep instead of retention, but that was quickly fixed. 3,000 bonus miles after $500 in spending each month for 3 months. $95 statement credit after 5 X $20+ purchases in 3 months. I’m sure you can guess which one I took! I believe $95 in cash is worth more than 3,000 AAdvantage miles plus I like the fact that I can make five purchases and move on. This is an AAdvantage American Express card that has Amex Offers, so making the five purchases won’t be a problem. With all of the great offers available, I already had plans for at least that many! I could almost just and copy and paste what I wrote above. My wife called, was transferred to a retention specialist and was given the same offers. Her coach (me) told her to take the statement credit and she did. Her card also has those great Amex Offers, so making five purchases won’t be difficult. As I mentioned, both of these cards are now three years old, having been opened in 2012. This is the third time the annual fee has come due and the third time Citi has given us a statement credit to offset it! Since these cards get Amex Offers, they have proven to be very valuable. I’m sure they’ll stop waiving the annual fee at some point, but not this year! I have one Chase Ink Plus card that is coming up on its first year anniversary. In the past year I have made a a sizable amount of business related purchases with the card. When I called up Chase, the person who answered was able to help me. There was no retention specialist to talk to as far as I was told. When I asked if there were any offers, I was straight out told no. I called back another day and got the same response. My wife has two Ink cards with annual fees that are now due. One of the cards is three years old and the other is one year old. She called up on both cards and had the same experience as I did. She was stonewalled. No annual fee waiver. No bonus offers. Nothing. Chase really does seem to be tightening on retention for their Ink cards. I actually think the fact that we spend a lot on these cards hurts our chances of getting a retention offer since it means we are using the cards and thus probably are benefiting them. Either way, my wife and I have now been on more than a few Chase Ink retention calls this year and none have resulted in any offers. Throughout this year I have heard from and talked to people who say persistence is key to getting offers on these cards. One friend of mine got a fee credit after his 4th call. The thing is I’m not sure it is worth calling in four times to save $95. The frustration and time invested in doing that probably isn’t worth the small amount of money saved. 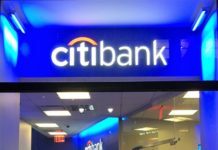 As has been the case for awhile, Citi has continued to impress with their retention offers and Chase has continued to tighten, or at least that is my experience. Now we are at a crossroads where we need to decide our Chase Ink strategy and I’ll cover that in another post. At least I don’t need to worry about our Citi AA Amex cards. They’ll continue to payoff for at least another year. Called Chase yesterday for my ink bold, got the same answer, no offers available in my account. I was told to call back when the annual fee posted to see if statement credit is available. Sigh, had no problem last 2 years to have the annual fee waived. Last time I called Citi, after taking care of mine I asked the specialist if he could have look at one of my wife’s cards as well. No problem. She verified her identity, and we saved a phone call. We made our calls at separate times since we weren’t both home, but that is a great idea. I have written as well about asking for offers on multiple cards on the same call. Right now we are good with Citi since we have 3X everywhere on the ThankYou Preferred! I like it though. Get all of your offers plus all of your wife’s on the same call! Efficiency. I have had the same experience with Citi on my various AA cards with them since 2012. Except, my bonus offers have been more lucrative and (incredibly enough) stackable. The standard offer I get is $95 statement credit plus 1000 bonus miles in each month that I spend $1K for (15 or 16?) months. That last bit is key – so when I called in year 3 and they applied the offer, the old offer from year 2 stayed in place. Which meant that I got 2000 bonus miles for the first $1K in spend for 3 or 4 cycles (until the 15 or 16 months on the old offer ran out). Very nice to get some. Chase…has been getting minimal spend from me lately. Basically enough to take strategic advantage of URs bonus categories. Once I find a use to liquidate my URs, I may consider dropping the Ink – I’m not sure that the cost/benefit is really there anymore unless you are a very heavy spender. I have received the 1,000 mile offer the past two years as well, but this year for some reason it wasn’t an option. I’m alright with the fee waiver considering these cards are each worth good money with the Amex Offers. Called Chase Monday for Ink retention. Got $95 credit offer without much work. About 2 years old. Maybe $16k spend in last year. EIN card, personal “business”. Good news about the Citi retention offer. My annual fee just posted and I have to call for my AA Amex card as well which I always dread. Have been given retention offers two years in a row so hoping it continues. 1. I’m Citigold too but didn’t really spend much on my Citi AA Plat Visa. Citi refused to do anything and even told me that they can’t even transfer me to a specialist. I applied and was approved for a Citi AA Plat MC and cancelled the Citi AA Plat Visa the next day. I wanted to get the MC before so as not to trigger the “opened or cancelled in the last 18 months” rule. 2. Chase has been awful. I have a large business and personal banking relationship with them. I spent over $30K on my Chase United MPE card – no fee waiver. Cancelled the card. I spent over $40K on my Chase Ink Plus for my business – no fee waiver. I will be cancelling that too and moving spending over to AMEX SPG Business. If only Citi would create a competitive Business ThankYou rewards card. 3. I am getting 7x on my Citi ThankYou Prestige for travel up to 35,000 bonus TY points so am loving that card. How are you getting 7x for travel?? I had the same results last month with 2 Chase Ink cards – Bold and Plus. I called twice on each with absolutely no offers available, so I cancelled the Bold and kept the Ink Plus. Haven’t applied for a Chase card since April when I got the Sapphire – I’m hoping the lack of applications will help me get the Chase SW personal and business cards in Jan-Feb so I can get another new Companion Pass. Citi is wonderful for retention and customer service. Chase is poor except that I get my Ink Bold fee waived every year without any work. Just got it waived again last month. I was told it was because of my spending and they didn’t want to lose me. The Ink Bold gets six figures put onto it every year (I am still grandfathered into the old scheme with bonuses at 25K, 50K and 100K spend). Despite this, what I have noticed at Chase is a drop in customer service and knowledgeably on most of their card call in lines. Also, just for reference, people talk about Barclay waiving fees, but I have never been able to get a Barclay fee waived and have been dropping their cards because of this. At renewal next year the Arrival+ is going to get ditched. Spent 100K on that card last year and no retention offer of any kind. With the devaluations, it just isn’t worth it anymore. Also of interest, five years ago I cancelled all of my Citi cards and wrote a letter to their customer service director. My problem then was not retention, but just very bad customer service. I got a call from a VP at Citi who told me that they knew they had a problem not only with customer service, but also with retention. She also said it was stupid for them to keep giving out big bonuses to get customers, but then lose them at retention. She also said all of that was going to change quickly. She offer to give me miles, reinstate all the cards and waive the fees that year just so I would give them a try. I’m glad I did. It’s one of the few times where management wanted a turnaround to improve and it really occurred. Five years ago, they were at the bottom of my credit card company lists and Chase was at the top. Today, Citi is at the top for customer service and retention and Chase is far down the list. One-year anniversary for both my Ink Plus and Bold this past May. I waited till after the annual fee had posted, then called and got both fees reversed. Not liking where Chase is headed… My wife hasn’t been able to get Freedom, CSP or Ink during the last year, even with 800+ score (tho’ she has most everything else under the sun). While YMMV always, I think that is likely the problem. Many reports lead to Chase not wanting to play with a bunch of other kids int he sandbox. They want share of wallet and most of your spend and don’t want to end up in the sock drawer. With the fed set to raise interest rates and mortgage companies switching from re-fi and new sales mode to equity and HI mode, I think it shows the smarter banks are reeling it in… less exposure for and if the economy takes another dump. Just my guesses. Congrats on your Citi success. Sadly, it didn’t go so well for me (as far as offers go). After a couple calls and even speaking to a “supervisor” level person in customer service, they both immediately could see I wasn’t eligible for any retention offers or fee waivers on the AA Platinum World MC that I have. I received the $95 credit after minimal spend last year when my fee came due and I called in to ask for offers/waivers. The rep even acknowledged that this time and concurred that some still receive that offer. However, I am not eligible for it. Therefore, I had no choice really it doesn’t seem but to either convert or close the card. I chose to convert to a Bronze Aadvantage card to avoid the annual fee. I was HOPING that converting to the Bronze card and keeping the same account number would prevent it from looking like I closed an AA card to prevent a future signup bonus credit forfeiture in the next few months. Any thoughts on this? I hope this didn’t reset the LOOONNNGGG counter before I’m eligible again. I knew closing it would definitely do so but thought the conversion may not reset the counter. Either way, it didn’t seem worth it to pay the $95 fee for a card I barely use. Any thoughts on how the conversion to bronze will affect me going forward is appreciated. Cheers! You should be fine. I downgrade my Plat VISA to Bonze MasterCard a little over 2 years ago and have had received 3 sign up bonus for new Plat VISA or MC cards since then. I called Chase about one of my 3 Ink cards (2 different businesses). The rep checked if she could waive the fee, but couldn’t. She was able to convert my card to a no fee Ink Cash. I did the same with another Ink card earlier in the year. The other, they waived the fee. My Citi AA fee should post any day now. We’ll see how that goes. This post has too many stock photo’s, looks like an MMS filler post. It only has one stock photo. The others are logos of the banks and pictures of the cards discussed. Thanks for the input though. Good to see you back on the site! I don’t have credit card dispute problems often enough to even remember what the last one was, so I judge banks by how readily they reward their customers. Between Citi and Chase lately, it’s been Midas vs. Scrooge. I had similar experience. I have a aadvantage gold card and a Marriott signature. Citi gave me a 50 statements credit and 750 extra points every month I spend $750 a month on card. Chase told me there are no retention offers at this time. This was 3 weeks ago.